Building a Hotel Booking App? Here’s What You Need to Do! With the emergence of multiple online avenues, the tourism industry has started witnessing tremendous growth. According to research by Statista, the finances generated from digital travel sales have almost doubled from 470 billion dollars in 2014 to 755 billion dollars in 2019. They are further expected to breach the 800 billion dollar mark by early 2020. 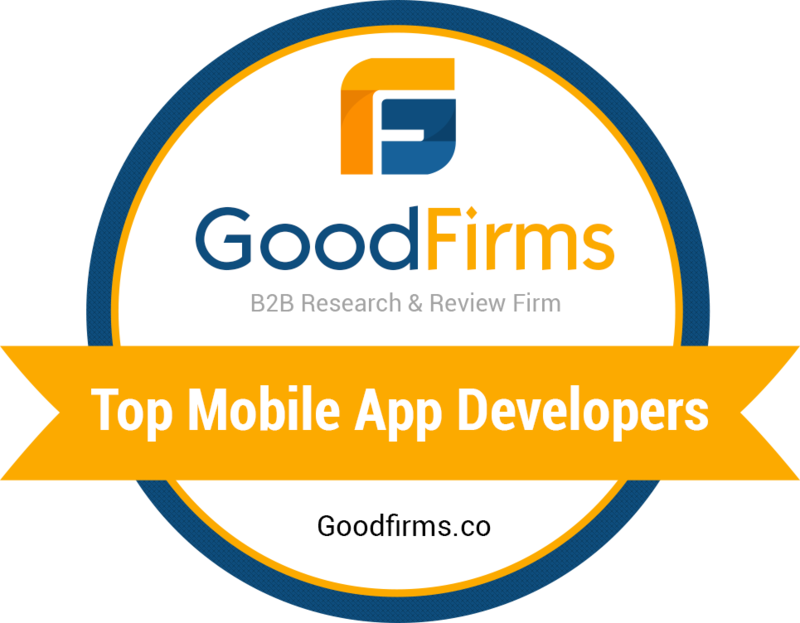 This upward trajectory has provided app developers with an excellent opportunity to connect with their clientele on both, a personal and a professional level. As a result, start-ups, tech entrepreneurs, hotel establishments, and even hospitality executives have jumped into the digital fray for developing convenient, secure, and affordable applications. Take Airbnb for example. The app currently hosts one of the largest accommodation networks in the world. The secret of its massive success lies in the way it fosters user engagement by employing a highly interactive UI design. This also enables it to strengthen brand recognition and facilitate a seamless user experience (UX). If you too are planning to take a plunge into the world of hotel booking apps, it would be wise to learn from the experience of those who have already created a niche for themselves. To begin with, you would have to craft a detailed and well-calibrated strategy that effectively addresses every potential variable. More so, you will also have to ensure that your business app generates a good revenue stream while unleashing an innovative and creative spirit into the market. When users log into your hotel booking app, they want to be able to search for a hotel as soon as they can. In order to cater to this need, a competent mobile app integrates a variety of operational features by bringing them together on a single platform. Moreover, the search results can further be sorted on the basis of relevance, a number of beds, type of living arrangements, languages offered and user ratings/reviews. From the moment users download your hotel booking app, they should be able to explore it without any hassle. For doing this, you will have to ensure that your UI/UX designing process gives users an easy way to navigate the welcome screen. The response time of your mobile app should be short while its features should be interactive. Airbnb, for example, makes the onboarding process extremely simple by providing users with an option to create accounts through their social media profiles instead of going through an extensive signing up procedure. This essential linkage doesn’t just save a lot of time but, it also permits Airbnb to access important information about the users’ likes and dislikes, based on which ‘Recommended’ destinations and hotels can be offered. By personalizing the entire user experience, graphically and textually, UI/UX enhances the functionality of your business app. Nonetheless, as an app developer, you must make sure that users are not overloaded with excessive information. The back-end development and front-end presentation should be in absolute alignment. If you are planning to build an iOS app or an Android app exclusively, you would have to focus on the specifications provided by both these operating systems (OS). The design, coding, speed, and deployment requirements of iOS and Android are completely different. Even the target audience and development complexity of the Apple store and Google Play store is quite distinctive. A number of times, users are unsure about the specific hotel in which they should stay. In such a situation, instead of asking them to confirm their intention immediately, your mobile app should be able to help them make a well-considered decision. Provide detailed listings of the hotels including their photos, videos, ratings, descriptions and if possible, virtual tours. Have brochures of various hotels stored in your inventory so that they can be pulled out for getting more information. Enable users to save the hotels they like and revisit them in case they want to reconsider their decision. Push notifications and quick alerts can be sent to keep the users informed about the latest deals. Last, but not the least, having a real-time communication center can equip users to contact you for help immediately! Airbnb, for instance, has integrated the ‘help’ feature within its mobile app. It offers 24 x 7 customer support while helping users verify the credentials of their prospective accommodation. They have also listed a string of frequently asked questions (FAQs), going through which can aid users in sorting their genuine queries at the earliest. Before building a minimum viable product (MVP), designing a prototype of your hotel booking app can go a long way in endowing it a unique perspective. Based on your objectives and requirements, you can select an app development mode of your choice. However, you must make sure that the data you use for aggregation is sourced legitimately. In order to obtain this crucial resource, you either need to enter into an agreement with all the hotels in your listing or make use of the application programming interface (API). APIs allow you to access data from different hotels, provided you fulfill certain conditions. When integrated with XML, the data received via APIs facilitate the flow of requests made by users and quickens the responses provided by servers. Additionally, you will also have to ensure that the prototype of your hotel booking app is positioned diligently. This can be done by giving your unique value proposition (UVP) a prominent space within your overall marketing strategy. Once users have selected a hotel on your mobile app, they should be able to make payments by a method of their choice. This would mean that your business app should be in a position to support various payment methods in a secure and transparent manner! Moreover, the payment support system of your hotel booking app should also work in close coordination with your monetization model. Let us find out how Airbnb does this. For both, its international and domestic clients, it supports payment methods like a debit card, credit card, PayPal, mobile wallets and even gift cards! The payment received from users is sourced through the APIs of a payment gateway like Braintree or Stripe. These gateways record customer information while authenticating their payments seamlessly. The success of your hotel booking app is entirely dependent upon your ability to measure its initial outcome, calculate conversion rates, eliminate identified bugs and make corrective changes. These tools conduct a predictive assessment of your mobile app and help you understand user behaviour. The results from such a funnel analysis can enable you to capture important metrics during beta-testing and even after the final launch. With the era of an ever-changing market and transformative technology dawning upon the hospitality industry, the business app environment is likely to reshape itself. This is why, the success of a good hotel booking app in the future will only be bound by the trio of dedication, focus, and expertise. After all, creating a mobile app is nothing short of a laborious process that begins with untested innovations and ends at lasting adaptations!